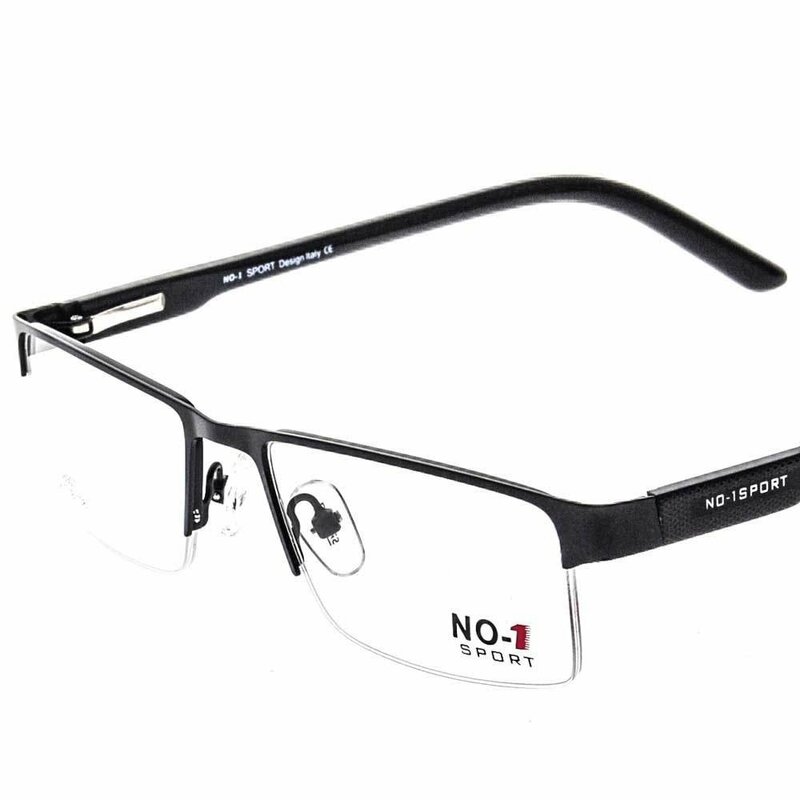 NO-1 SPORT stainless steel collection. Clubmaster eyeglasses for men & women. Black shiny finish frame and maroon & black temples.